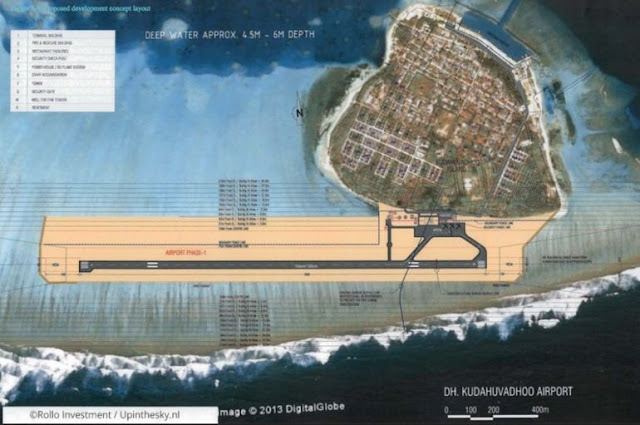 The 2 square kilometer Male' is too small to accomodate its 62,000 citizens. Lack of provision of basic facilities to residents of atolls forced islanders to migrate to the capital city in search for education, healthcare and job opportunities. Along with the rising expatriate workforce, it increased Male' resident population above 150,000 to make Male' not only the most densely populated island but also the second worst island for human beings to live. Together with time, we can find few regional hubs emerging and growing faster than we think. One of them is Dh. Kudahuvadhoo, located in the heart of the country. The rapid growth of Dh. Kudahuvadhoo and other such towns has widened our choice. We can now choose between the saturated Male' and expanding towns. In case you are considering to move, Dh. Kudahuvadhoo is, for various reasons, one of the best places that can meet your expectations. Dh. Kudahuvadhoo is one of the best islands in the country to provide holistic education to your children. Dhaalu Atoll Education Centre (Dh. AEC) located in the island not only teaches from the textbooks to develop the minds of your children, but also ensures the development of body and soul of our kids through well developed set of educational programs. Majority of Dh. AEC teachers are graduates and are in touch with professional development programs every now and then. Dh. Kudahuvadhoo has an MNU outreach centre providing tertiary courses. There are other private colleges in town and gives you the choice to choose from. Instead of staying in Male' for higher education, you can join colleges in Kudahuvadhoo so that you get more time for studies but not regular household chores that we all have seen in Male'. If you are not sure of where to start, the RLC comes to your rescue. For a very cheap price, you can get accomodation to stay in Kudahuvadhoo for your studies. The Multi-Purpose Building provides you with many recreation services including gym facility. In Maldives, there is no place providing state of the art healthcare facilities. IGMH and ADK too are not exceptions. Whenever something go wrong, we end up in going abroad. Unfortunately, Maldives need to do a lot on healthcare improvement. Compared to most of the islands in the country, Kudahuvadhoo performs better in health service. Dhaalu Atoll Hospital in Kudahuvadhoo has doctors in different specialities. There are general phisicians, specialist surgeons, gynochologists, pediatrists etc. Bank of Maldives established a branch in Kudahuvadhoo and has been serving the public for a long time. People can easily deposit and withdraw money easily. The branch lends money for your personal and investment purposes. To make it convenient, there is an ATM too. Except the Male' zone, we find very few roads paved in the country irrespective of the same amount of road fees charged from you. But, in Kudahuvadhoo, almost all roads are paved. Your vehicles can last longer and your back pain can be relived, thanks to paved and well maintained roads. For you inter-island transportation by sea, the habour is accomodates vessels of any size and any type whether it is a fishing dhoani or a general cargo boat. In addition to the large harbour, the island ensures that fishermen are provided with fuel and ice. The fuel shed in the island provides petrol and diesel at reasonable prices and with no discontinuation. Nearby tourist resorts are best known for their quality services. Kudahuvadhoo was a popular place among the tourists visiting the nearby resorts. Now, Kudahuvadhoo itself is a service provider. The guest house business is on the rise and occupancy rate continues to rise. The opeining of airport is expected to give a boost to local tourism, ensuring more foreign currency inflow. Kudahuvadhoo Airport will be one of the best domestic airports in the country. With its long runways and specialities for private jets to serve growing tourism demand in the region, it will open the island not only to Maldivians but also to the foreigners. The airport is expected to open in May this year. When you are in Kudahuvadhoo, you are just 25 minutes away from Hulhule. This ensures connectivity with the capital as well as the foreign countries via connecting transition flights. Police Central Division located in Kudahuvadhoo ensures security and protection for you as well as your peoperties. Meanwhile, MNDF fire and rescue post ensures safety. In addition to public services like government offices, schools, hospital, police, MNDF and the growing private sector is creating jobs faster than the graduation rate. That has already brought back some of the best brains to the island. The island offers preferential treatments to educated people from their housing schemes and invites everyone in general to Kudahuvadhoo. Kudahuvadhoo is a town providing you with "island life's peace of mind" along with most of "city-life services", if not all. If you are searching for better education, healthcare and job opportunities and want to keep your monthly bills under your control, Dh. Kudahuvadhoo is one of the best places for you.